Match ends, FC Basel 0, Sevilla 0. Second Half ends, FC Basel 0, Sevilla 0. Substitution, Sevilla. Daniel Carriço replaces Éver Banega. Coke (Sevilla) wins a free kick in the defensive half. Foul by Marc Janko (FC Basel). Attempt blocked. Yevhen Konoplyanka (Sevilla) left footed shot from the left side of the box is blocked. Assisted by Fernando Llorente. Substitution, FC Basel. Daniel Høegh replaces Walter Samuel. Renato Steffen (FC Basel) is shown the yellow card for a bad foul. Foul by Renato Steffen (FC Basel). Attempt saved. Renato Steffen (FC Basel) left footed shot from outside the box is saved in the bottom left corner. Second yellow card to Steven N'Zonzi (Sevilla) for a bad foul. Birkir Bjarnason (FC Basel) wins a free kick in the defensive half. Benoît Trémoulinas (Sevilla) is shown the yellow card for a bad foul. Foul by Benoît Trémoulinas (Sevilla). Renato Steffen (FC Basel) wins a free kick in the defensive half. Adama Traoré (FC Basel) wins a free kick in the defensive half. Substitution, FC Basel. Alexander Fransson replaces Matías Delgado. Attempt saved. Yevhen Konoplyanka (Sevilla) right footed shot from the right side of the box is saved in the centre of the goal. Assisted by Michael Krohn-Dehli. Attempt blocked. Michael Krohn-Dehli (Sevilla) right footed shot from the centre of the box is blocked. Assisted by Éver Banega. Offside, FC Basel. Marek Suchy tries a through ball, but Marc Janko is caught offside. Attempt blocked. Luca Zuffi (FC Basel) left footed shot from outside the box is blocked. Renato Steffen (FC Basel) wins a free kick in the attacking half. Substitution, Sevilla. Fernando Llorente replaces Kevin Gameiro. Attempt missed. Matías Delgado (FC Basel) right footed shot from outside the box is close, but misses to the right. Attempt missed. Adama Traoré (FC Basel) left footed shot from the left side of the box is close, but misses to the left. Assisted by Matías Delgado. Corner, Sevilla. Conceded by Tomás Vaclik. Attempt saved. Kevin Gameiro (Sevilla) right footed shot from the right side of the box is saved in the centre of the goal. Assisted by Éver Banega. Substitution, Sevilla. Yevhen Konoplyanka replaces Vitolo. Offside, FC Basel. Birkir Bjarnason tries a through ball, but Marc Janko is caught offside. Attempt saved. Steven N'Zonzi (Sevilla) right footed shot from the centre of the box is saved in the centre of the goal. Assisted by Éver Banega. Delay in match Benoît Trémoulinas (Sevilla) because of an injury. Offside, FC Basel. Marc Janko tries a through ball, but Birkir Bjarnason is caught offside. Delay in match Marc Janko (FC Basel) because of an injury. Attempt missed. Birkir Bjarnason (FC Basel) left footed shot from the centre of the box is too high. Attempt blocked. Renato Steffen (FC Basel) left footed shot from outside the box is blocked. Assisted by Matías Delgado. Foul by Kevin Gameiro (Sevilla). Attempt missed. Luca Zuffi (FC Basel) left footed shot from outside the box misses to the right. Foul by Sebastián Cristóforo (Sevilla). Adama Traoré (FC Basel) wins a free kick on the left wing. Second Half begins FC Basel 0, Sevilla 0. Substitution, FC Basel. Adama Traoré replaces Michael Lang because of an injury. First Half ends, FC Basel 0, Sevilla 0. Attempt missed. 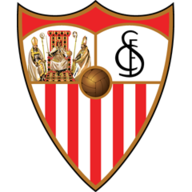 Steven N'Zonzi (Sevilla) header from the centre of the box misses to the left. Assisted by Michael Krohn-Dehli following a set piece situation. Vitolo (Sevilla) wins a free kick on the right wing. Sebastián Cristóforo (Sevilla) wins a free kick in the defensive half. Sebastián Cristóforo (Sevilla) is shown the yellow card. Luca Zuffi (FC Basel) wins a free kick in the attacking half. Taulant Xhaka (FC Basel) wins a free kick on the right wing. 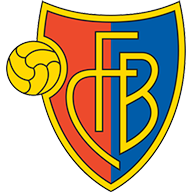 Delay in match Michael Lang (FC Basel) because of an injury. Marc Janko (FC Basel) wins a free kick in the defensive half. Michael Krohn-Dehli (Sevilla) wins a free kick in the attacking half. Foul by Walter Samuel (FC Basel). Taulant Xhaka (FC Basel) wins a free kick in the defensive half. Behrang Safari (FC Basel) wins a free kick in the defensive half. Corner, Sevilla. Conceded by Marek Suchy. Attempt missed. Matías Delgado (FC Basel) right footed shot from outside the box is close, but misses the top right corner from a direct free kick. Luca Zuffi (FC Basel) wins a free kick in the defensive half. Corner, Sevilla. Conceded by Behrang Safari. Corner, Sevilla. Conceded by Matías Delgado. Sebastián Cristóforo (Sevilla) wins a free kick on the right wing. Foul by Matías Delgado (FC Basel). Attempt missed. Coke (Sevilla) right footed shot from the centre of the box is high and wide to the right. Assisted by Éver Banega with a cross following a set piece situation. Coke (Sevilla) wins a free kick on the right wing. Attempt blocked. Renato Steffen (FC Basel) left footed shot from the left side of the box is blocked. Assisted by Marc Janko with a headed pass. Birkir Bjarnason (FC Basel) wins a free kick on the right wing. Attempt missed. Steven N'Zonzi (Sevilla) header from the centre of the box is close, but misses to the left. Assisted by Coke following a set piece situation. Walter Samuel (FC Basel) is shown the yellow card for a bad foul. Attempt missed. Marc Janko (FC Basel) header from the centre of the box is close, but misses to the left. Assisted by Renato Steffen with a cross. Foul by Michael Lang (FC Basel). Michael Lang (FC Basel) wins a free kick on the right wing.